Many men grew up being taught the Full-Windsor tie knot. This was the first knot taught to me. I’m not entirely sure why this is, but my guess would be that the ties in the 1980’s and 1970’s were generally fairly thin in terms of their material. Whereas today, most ties are much more substantially constructed, even those that are narrow in width. The thicker a tie’s material, the thicker your knot will be. This means that ties from the 80’s and 70’s required more substantial knots in light of their thin construction than today’s knots. Gentlemen, it’s time to leave the Full-Windsor behind. The three most common tie knots, from least substantial to most substantial are: the Four-in-Hand, the Half-Windsor and the Full-Windsor. 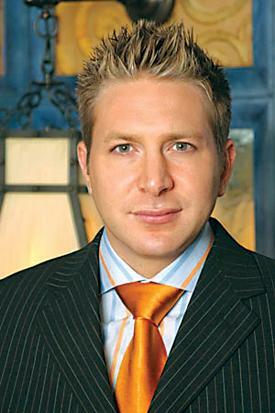 The Four-in-Hand is slightly asymmetrical, while the Half-Windsor and Full-Windsor are meant to be symmetrical. 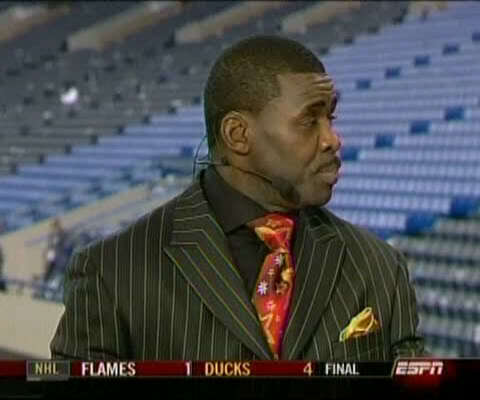 In Britain, the Full Windsor has become known colloquially as the “Footballer’s Knot”, which associates the massive Full-Windsor with the often garish style of professional athletes (seen below on former NFL wide receiver Michael Irvin). In many cases, a Full-Windsor most closely resembles a silk fist below your chin (see the photo of the gentleman in the orange tie above). It is not an aesthetically pleasing choice, and, since it requires so much fabric to tie, often leaves one’s tie too short. If you like the symmetric look of the Full-Windsor, I would highly recommend tying a Half-Windsor (which is tied precisely like the Full-Windsor, except with half the steps – more can be found on that here: ). If you like the more asymmetric, visually interesting Four-in-Hand, it will always be an appropriate choice (as I mentioned, it’s Prince Charles’ knot of choice, and few people are required to be more proper and appropriate than him). But, I would suggest not tying a Full-Windsor – you really don’t want to be in the same sartorial category as loutish professional athletes (and I’m saying this as a big sports fan; they just don’t dress well as a group) or a mafioso. Instead, do yourself a favour and tie a Four-in-Hand (below on the left), or probably make the easier transition to the Half Windsor (below on the right). I’ll leave you with a passage from Ian Fleming’s James Bond novel, From Russia, With Love: “Bond mistrusted anyone who tied his tie with a Windsor Knot. It showed too much vanity. It was often the mark of a cad.” Well stated Mr. Fleming. I have to disagree with you. When a Windsor knot is tied properly, it can look very tidy. The pictures you have posted here are absolutely hideous examples of the knot (actually, I’m not convinced the 3rd picture is even a Windsor anyway). I would suggest that the term “footballer’s knot” would have been applied to whatever knot footballers chose to tie because they are so lousy at it. The fact that they can’t match their shirts & ties to their suits only serves to make it look even worse. If you attempt to tie a Windsor & end up looking like the pics above, YOU ARE DOING IT WRONG – take it off & start again! Besides, there are plenty of great alternatives to the three knots you have mentioned. 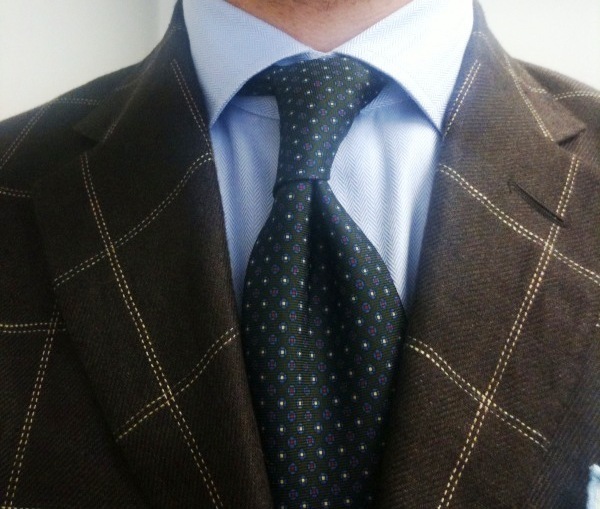 The 4-in-hand (aka schoolboy knot) is for simpletons. Try learning the Kelvin, Pratt, St Andrew, Plattsburgh, Cavendish or Hanover knots if you want to try something different. I disagree. 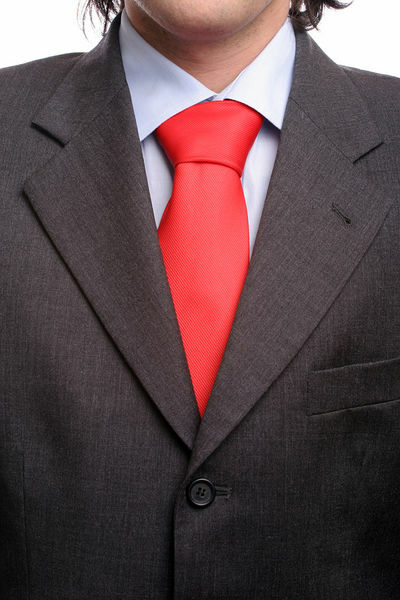 Many ties are still fairly thin, and Windsor knots can be made to be neat little things, if tied properly. I cannot stand politicians and other people on TV tying schoolboy Four-in-hand knots. They look horribly asymmetrical and amateurish. A tightly tied Windsor is a much more balanced knot, and suggests that the individual has taken the time to look that little bit smarter. There is a reason that Her Majesty’s Royal Air Force use the Windsor knot: It gives a fantastic triangular shape. The problem lies with footballers and other sportsmen knot (get it?) being able to tie a windsor properly, leading to the enormous knots you have so aptly chosen for your images. This is not the most representative Windsor you could have chosen. Good sir, kindly refrain from slamming a good knot like the Windsor, in favour of an infantile, vulgar knot like the Four-In-Hand. Just to be contrary, I agree. I prefer the four-in-hand. I prefer an asymmetrical knot. I prefer a longer knot. When I do wear a cutaway collar I tend to use the Nicky. It’s not that I don’t know how to tie any other knots. I am not too simple, nor vulgar, nor infantile. Quite the contrary. I am a semi-educated adult that has learned to value the choices I do still have. All I was saying, is that the photographs of the windsor shown, are all of poorly tied windsors, whereas a good windsor is not much larger than a four in hand. Of course it is a preference, but at least post a balanced argument on a blog, rather than choosing the best aspects of one, and exaggerating the faults of the other. Some awful examples of Windsors above, just look at that blonde goon. Horses for courses I say. Depends on the collar and the tie. The ridiculously voluminous Windsor is horrendous, but correctly executed it can be superb. I agree that the full Windsor should be ditched, and should be replaced by the Plattsburgh knot. It’s not very widely known, but you can now easily find it on Google. The resulting knot is triangular in shape, tidy, easy to tie, and one of the most attractive knots out there. Give it a try. That’s a well tied windsor. intelligently about. Now i’m very happy I came across this during my hunt for something concerning this.